Size:	 1130 - 1300 Sq. 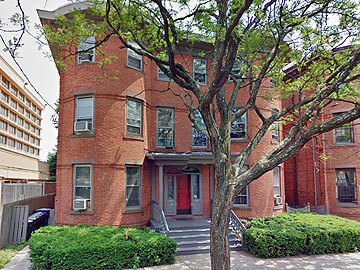 ft.
283-285 Dwight Street: Historic brownstone just steps away from central campus. Small six unit building with 4 three bedrooms and 2 four bedrooms. Each apartment is very spacious, with high ceilings, large windows, spacious bedrooms and formal kitchen space. Direct access to a private back yard. No utilities included. Cooking and heat are gas. There are no units currently available.